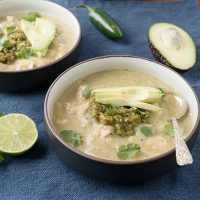 It’s official, we’ve fallen in love with this Instant Pot white chicken chili recipe. 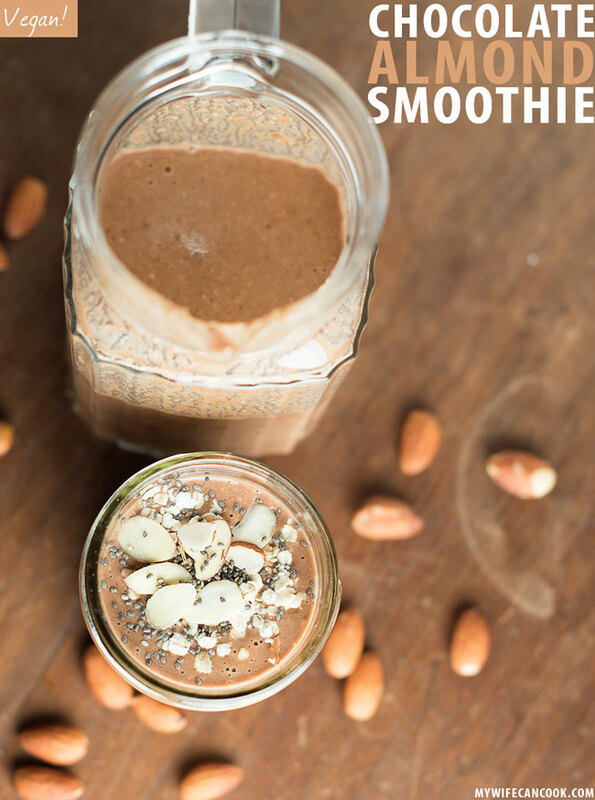 It’s dairy-free, bean-free, whole30 compliant and it can be on the table in around 30 minutes. 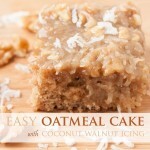 After a recent allergy diagnosis, I’ve been trying more dairy-free recipes and have contemplated trying a whole30. Anyone out there tried/completed one? 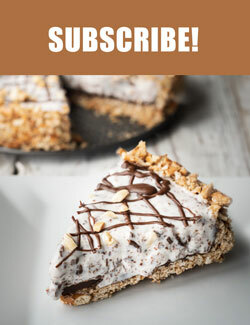 I hope to start one soon but wanted to test out a few recipes ahead of time. 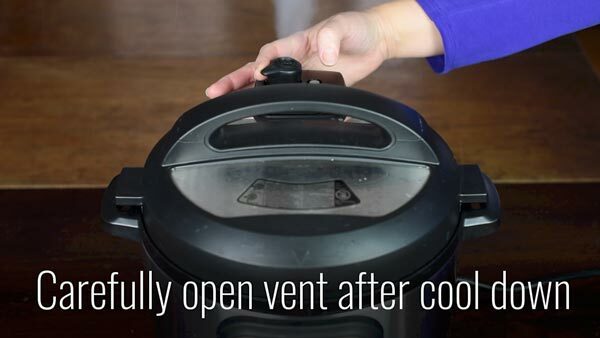 And maybe freeze them. Because I think it would be much more manageable to completely redo your diet with advance planning. 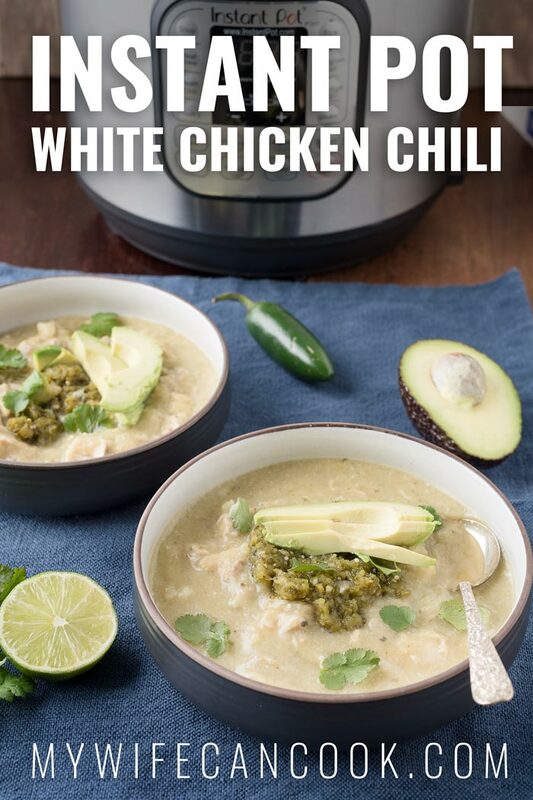 With that motivation, this Instant Pot white chicken chili recipe was born. 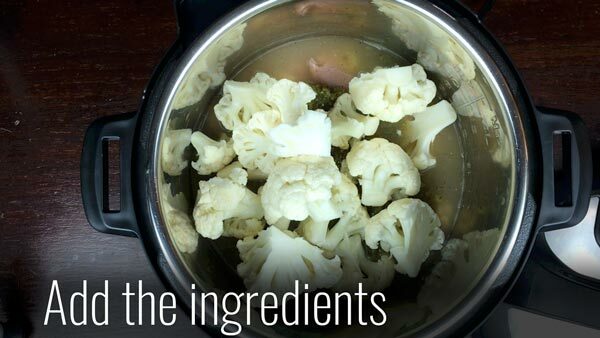 We love white chicken chili, but there are no beans allowed on whole30 so this recipe just subs out the beans with cauliflower. You can substitute cauliflower for a lot of things. It works perfectly in this recipe because it helps to thicken the chili and adds nicely to the flavor profile. Most chili recipes aren’t complete until you kick them up with some sort of strong flavor or spice so in this instance we turned to salsa verde. We’ve been working on a salsa verde chicken recipe lately and already knew they would pair nicely together. 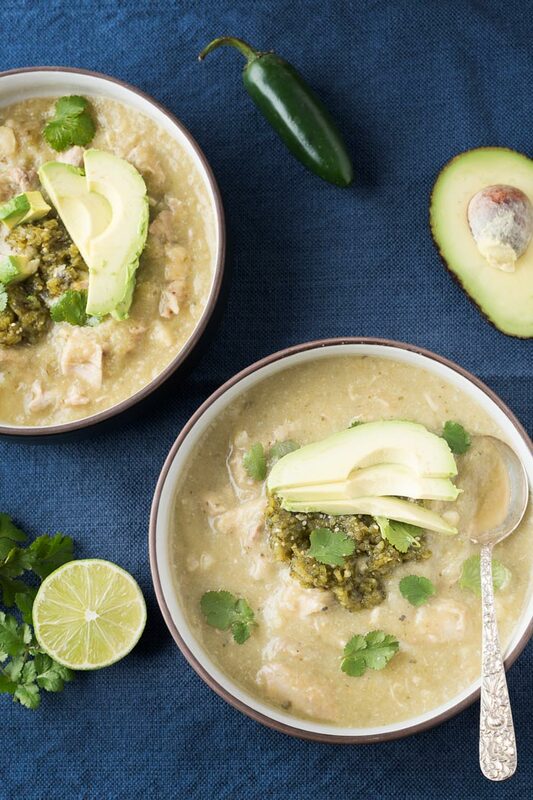 The salsa verde we use in this whole30 white chicken chili is our own homemade roasted tomatillo salsa verde. However, there are jarred salsa verde brands that are whole30 compliant. Our version is more on the mild side so if you like spicier chilis, feel free to buy a medium or hot version. Or, if making it at home, throw in an extra jalapeno plus some of the seeds. If you aren’t a fan of tomatillos and want something easier, just throw in a cup of green chiles or a couple of roasted poblanos. What kind of chicken can you use for this chili? 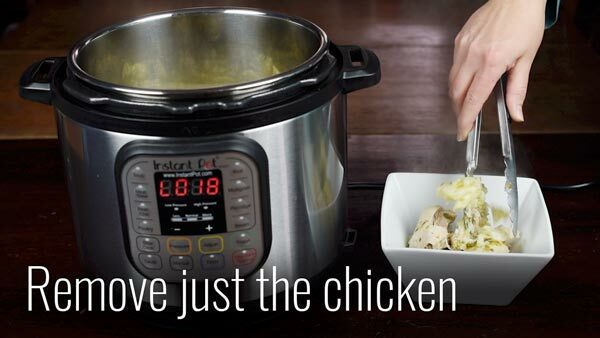 We use chicken thighs in this recipe because we like how they cook in the Instant Pot pressure cooker better than chicken breasts. They don’t take long, they remain nice and tender, and pull apart really easily. But if you don’t have thighs on hand or want to use other kinds of chicken you certainly can. If you use chicken breasts then I would suggest you add a few minutes to the pressure cycle as they’ll likely need to cook just a little longer. If you use rotisserie leftovers or some other sort of chicken leftovers (so, chicken that is already cooked) then I would not add the chicken until after the other chili ingredients are cooked. But, if this the case, the cauliflower should only take a one-minute pressure cycle to cook so adjust the cycle time accordingly. Then, after the nature pressure release, blend and then add the chicken. 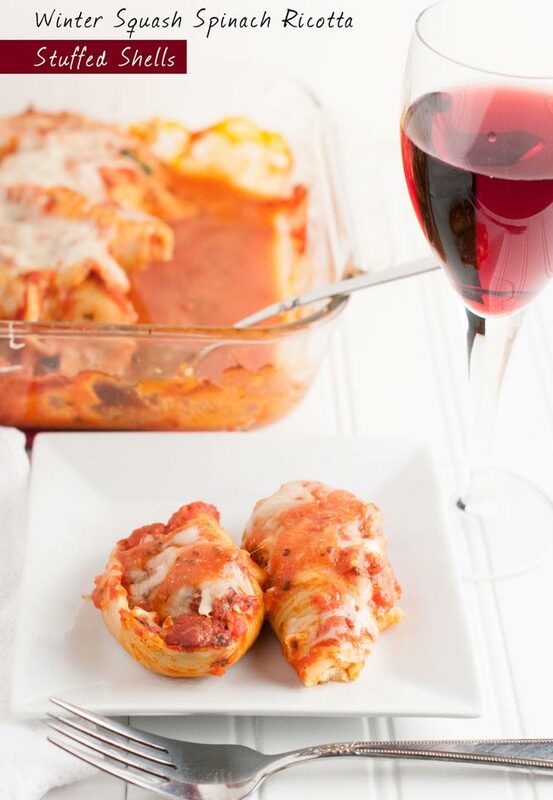 If you’re adding cold chicken, give it time to warm up before serving. How much chicken should you add? I find there is plenty of chicken with 4 thighs (probably about 1-1.5 pounds of thighs). However, we sometimes add in extra chicken thighs to cut up and save for chicken burrito bowls or quesadillas. Sure. As stated, we love the thickness and flavor the cauliflower brings to this chili, but if you’re not a fan you can always skip it and try potato instead. The same directions should apply if you cut the potato into small pieces (and probably peel the potatoes). If you’re worried about keeping this as a whole30 Instant Pot White Chicken Chili, read here about why white potatoes are whole30 approved. No chili is complete without a few toppings. Am I right?! Some of our favorite toppings for this chili are lime juice, cilantro, and avocado. Obviously, if you are eating whole30 compliant, dairy and grains are out. However, if not, feel free to also top with things like sour cream and tortilla strips. Or pretty much whatever you like. Mix the chicken back in and it’s ready to serve! A whole30 white chicken chili with no beans made in the Instant Pot. 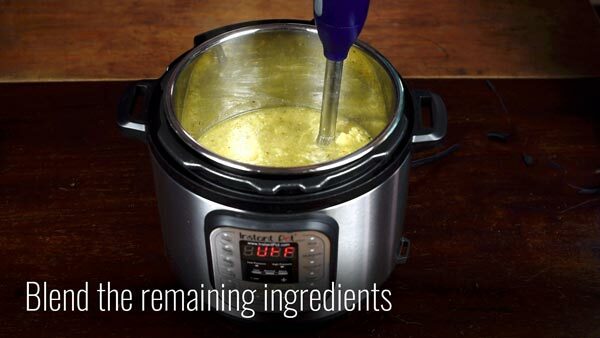 Pour broth in Instant Pot. Add chicken things, salt, pepper, salsa verde, and cauliflower. 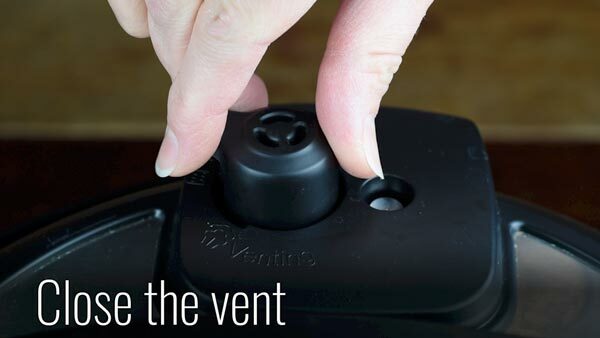 Close lid and seal vent. 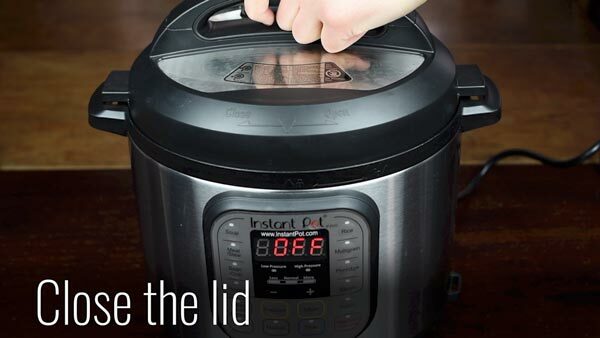 Press the manual or pressure cook button and toggle to 10 minutes. After pressure cycle, let natural release for 10 minutes, then release pressure. Remove chicken and cut up or shred and immersion blend (or use potato masher) remaining ingredients to desired consistency. Replace cut chicken back into the pot. Serve. Top with lime juice, cilantro, and/or avocado. I have been in a rut making the same sweet potato chili for a few weeks and will make a change today! This white chili looks great and I love any excuse to use my Instant Pot. 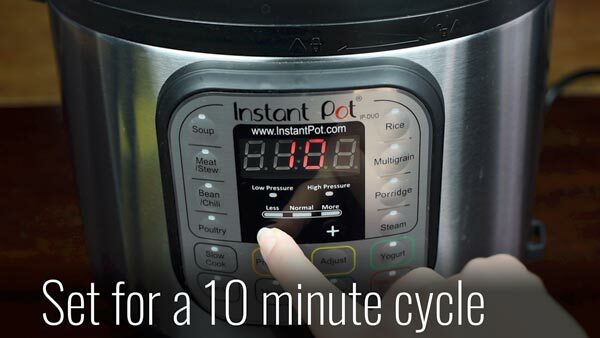 Seriously, my Instant Pot is out on a regular basis! I even tried cake in it last week.